Hope the rain keeps off! 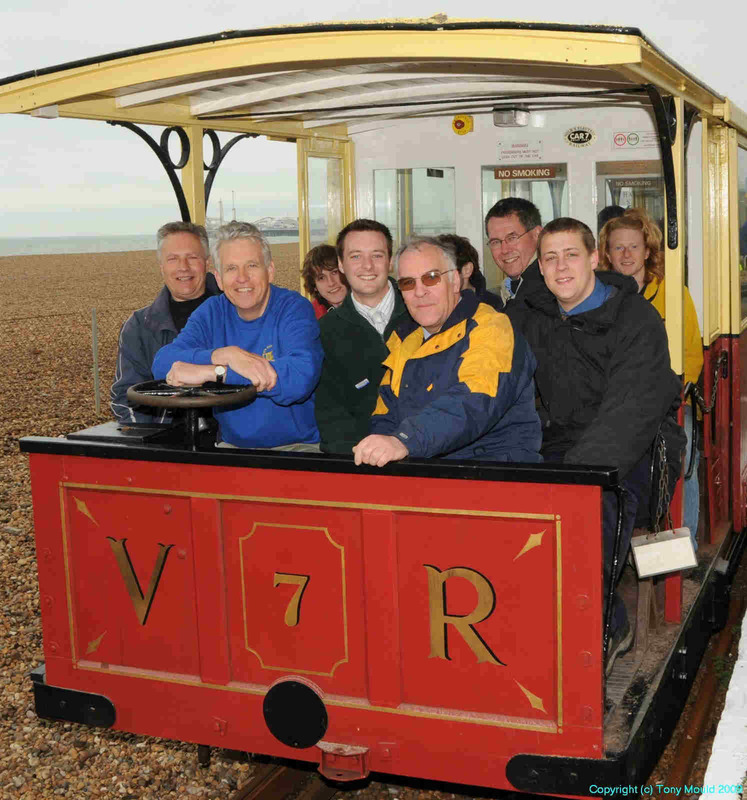 It was the start of the season, the Easter Bank Holiday, and the weather was predictably rainy and blowy. 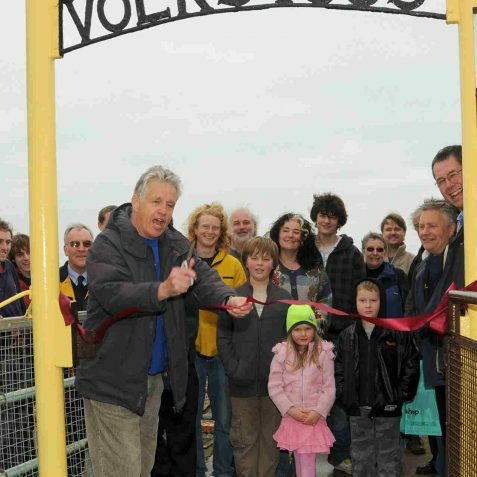 But it wasn’t enough to dampen the enthusiasm of visitors to Volks Railway who gathered to see TV broadcaster Nicholas Owen cut the ribbon to start what will hopefully be a bumper season. 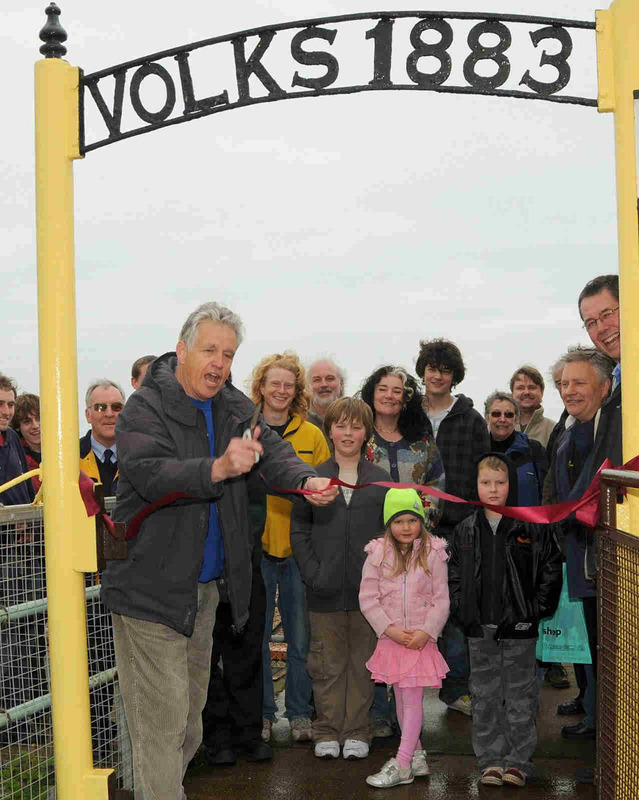 There is also some really good news for visitors. 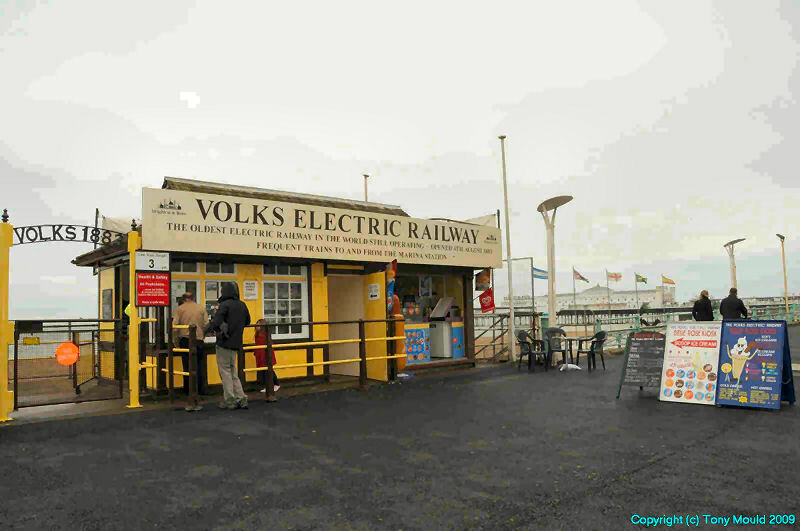 The Volks Railway ‘Electric City’ centre is shortly to open in late Summer 2009, in Arch 286 Madeira Drive. The idea is for school parties to go away with an experience never to be forgotten. Experts in electrical/visual fields have kindly volunteered their time free to bring together an educational package for the school visits. 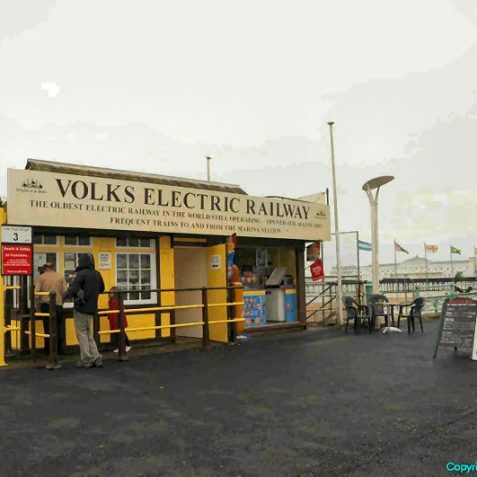 Stuart Strong, Volks Manager, is spearheading the project together with Barry Fuller, Volks Assistant Manager and Matt Berman, Student Experience. 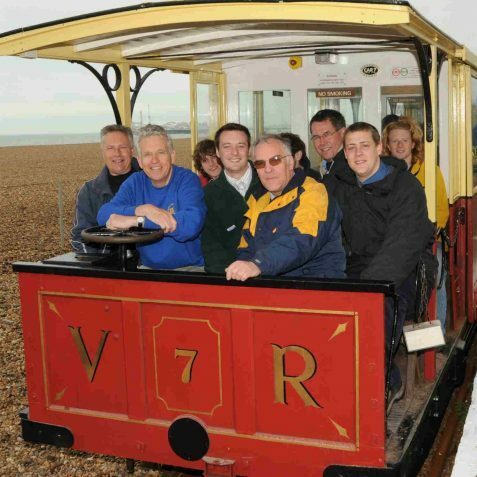 They have been joined by broadcaster Nicholas Owen, BBC correspondent, and narrator who is a keen railway enthusiast. 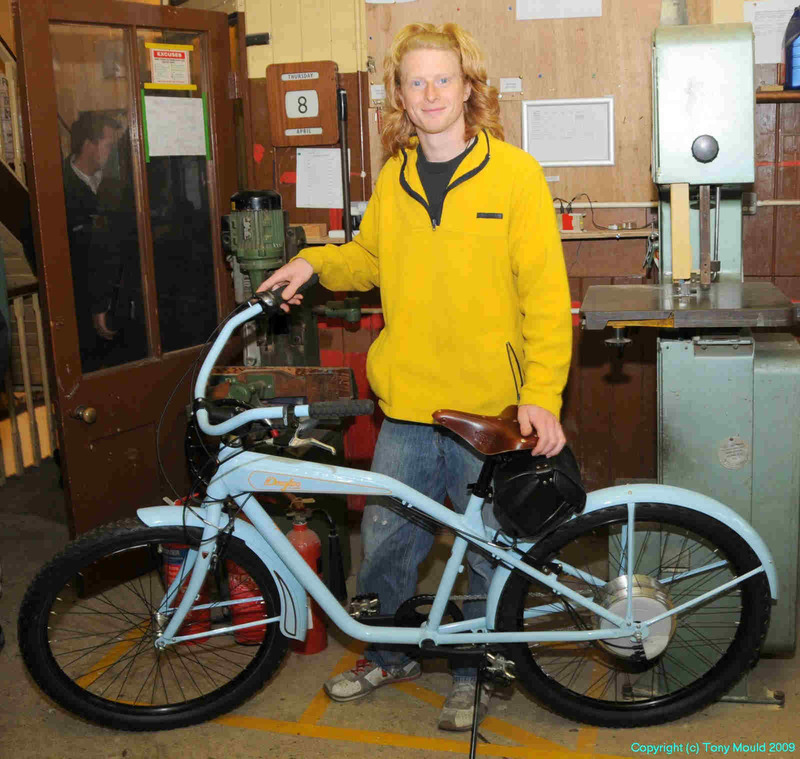 David Mackenzie Sproat, from ‘The Workshop’ in Peacehaven. 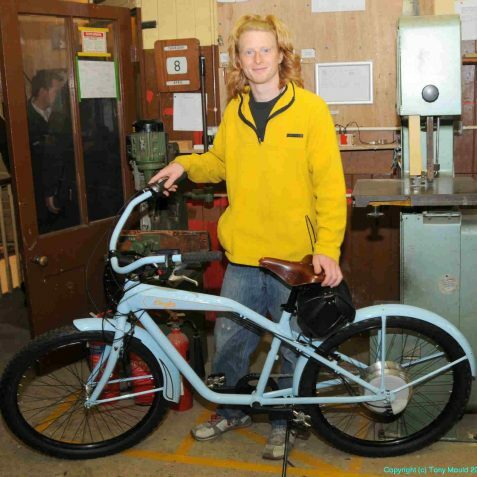 David is currently getting together an Electric Bike Technology Exhibition showing brushless motors. Lead Consultant for the ‘BIG Project Dynamo Exhibition’, John Richardson is adding his expertise to the team. And the brothers Andy and Bill Littlejohn are providing computer technical expertise.